All parts are Laser cut and welded giving them a professional clean & fresh look. The design of these mounts makes them stronger than a lot of others on the market today! Also this still allows the use of OEM and aftermarket OEM rubber mountings which makes replacements easy to find (rubber mounts NOT included in this listing)! 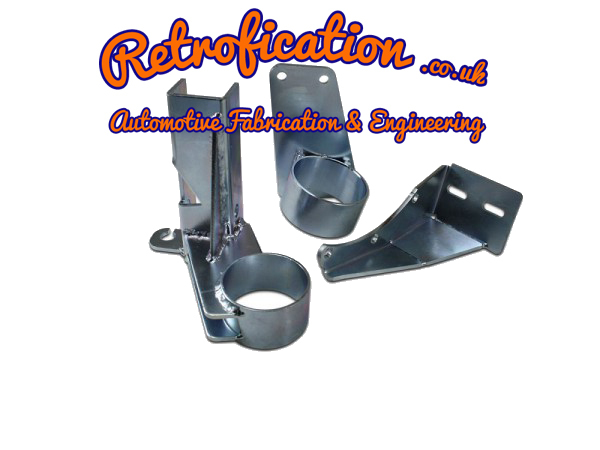 Incorporated into the design is a mounting bracket on one of the mounts to allow for a SEAT clutch cable setup to be used, this will save on fabrication time/cost, so that you wont have to convert your car to a hydraulic set up. The gearbox mounts are designed for the 02A (Non ABF 16v) Gearbox, we have sold many to customers for use with the 02A / R / S BUT the gearbox will require a small amount of filing and the reverse light switch will need to be modified due to clearance.